MONDAY, March 13, 2017 (HealthDay News) -- The Congressional Budget Office (CBO) said Monday that 14 million more people would be uninsured by 2018 under the Republicans' plan for replacing the Affordable Care Act, also known as Obamacare. The non-partisan budget office said this number could rise to 24 million by 2026, following proposed GOP changes to Medicaid and to the subsidies provided to individual buyers of marketplace coverage that are part of Obamacare. The Republican plan would save the federal government $337 billion over the next decade, the CBO said. The analysis contradicts President Donald Trump's assertion that no one would lose their coverage under the proposed Republican overhaul, according to news reports. Republican leaders say their proposal is designed to fix many aspects of what they call the failure of Obamacare, including escalating premiums and deductibles, and fewer insurance plans from which to choose. The Congressional Budget Office provides Congress with nonpartisan analyses for economic and budget decisions, and with estimates required for the Congressional budget process. The CBO report is likely to provide ammunition to opponents -- both conservatives and liberals -- of the Republican plan. Major medical and consumer organizations have come out against the plan, as have conservative lawmakers who say the measure doesn't go far enough to replace aspects of Obamacare that drove up health insurance costs. Prior to the report's release, House Speaker Paul Ryan sought to answer critics, noting that the GOP plan axes Obamacare's so-called individual mandate requiring most Americans to maintain health insurance coverage. "The one thing I'm certain will happen is CBO will say, 'Well, gosh, not as many people will get coverage.' You know why? Because this isn't a government mandate," he said on CBS' "Face the Nation" on Sunday. While the Republican replacement, called the American Health Care Act, doesn't require people to buy coverage, it does penalize consumers who go without health insurance for a period of time and then try to buy it. Under the House of Representatives' measure, a coverage gap of more than 63 days would trigger higher rates. Insurers would be allowed to add on a 30 percent premium surcharge for one year. As many as 30 million people could be subject to that penalty, and older adults would pay more than younger people, according to an analysis from The Commonwealth Fund. In a Sunday interview with NBC's "Meet the Press," Health and Human Services Secretary Tom Price said, "We have a great opportunity to increase coverage over where we are right now." Price said the problem now is people's inability to get the care they need because health insurance coverage is becoming unaffordable under Obamacare. "The premiums are up and deductibles are up. If you're an individual out there making $50,000 to $60,000 -- and your deductible is $8,000; $10,000; $12,000 -- you may have that insurance card, but you don't have coverage," Price said. Experts expect the CBO analysis to intensify debate among factions already at odds over the repeal of Obamacare. On one side are moderate Republicans who back House Speaker Ryan's three-pronged strategy for reform. Step one is passing the American Health Care Act to roll back key aspects of Obamacare. That so-called reconciliation bill would require a simple majority vote to pass in the Senate, not the 60-vote majority that some other types of legislation require. 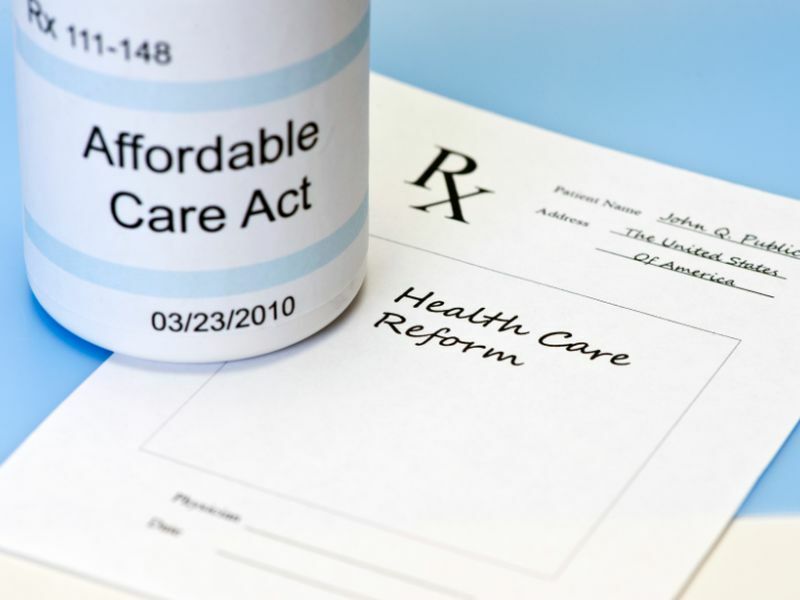 Ryan envisions then introducing additional bills to enact other aspects of health reform. Republicans have said there are certain features of Obamacare that they'd like to retain. These include allowing children to remain on a parent's health plan until they turn 26, and not allowing insurers to deny coverage to people with pre-existing health problems. But conservative Republicans are adamant that the GOP plan represents little more than a watered-down version of President Barack Obama's signature health law. Rep. Jim Jordan (R-Ohio), cofounder of the conservative House Freedom Caucus, told "Fox News Sunday" that "the key is let's do what we told the voters what we were going to do: Let's repeal Obamacare, not create some different form of Obamacare." SOURCES: March 13, 2017, report, Congressional Budget Office; The Commonwealth Fund, New York City; "Face the Nation"; "Meet the Press"; "Fox News Sunday"